Interior Minister Gerard Collomb made it official. France is "in a state of war”. It’s not just rhetoric. Bombs turn up in a posh Parisian suburb. Two young women are butchered at a train station. And it’s just another week of an Islamic World War III being fought in France. From the November attacks in 2015 that killed 130 people and wounded another 400+, to the Bastille Day truck ramming attack last year that killed 86 and wounded 458, the war is real. French casualties in France are worse than in Afghanistan. The French lost 70 people to Islamic terrorist attacks in Afghanistan. And 239 to Islamic terrorist attacks in France. The French losses in Afghanistan were suffered in over a decade of deployment in one of the most dangerous Islamic areas in the world. The French losses in France were suffered in less than two years. There’s something very wrong when Afghanistan is safer than Paris. 10,000 French soldiers were deployed in the streets of their own country in Operation Sentinelle after the Charlie Hebdo - Kosher supermarket attacks in 2015. Thousands of French soldiers are still patrolling, guarding and shooting in French cities which have become more dangerous than Afghanistan. Operation Sentinelle has deployed twice as many French soldiers to France as to Afghanistan. And French casualties in the Islamic war at home have been far higher that they were in Afghanistan. When the French intervened to stop the Islamist takeover of Mali, they suffered a handful of losses. The 4,000 French soldiers came away from Operation Serval with 9 casualties and Operation Barkhane amounted to 5 dead. The Gulf War? Another 9 dead. It’s a lot safer to be a French soldier fighting Al Qaeda in a Muslim country than a Parisian civilian going to a concert in his or her own city. French casualties in the struggle against Islamic terror in just the last two years are approaching the 300 casualties of the Korean War. France is at war. That’s why there are soldiers in the streets. Its new anti-terrorism bill creates a permanent state of emergency. Suspected extremists can be placed under “administrative detention” in their own homes and neighbourhoods under police surveillance and remote monitoring. Pop-up checkpoints can appear in public spaces that are designated as “security zones” where anyone can be stopped and searched. Mosques can be shut down for six months. Public gatherings can be banned. Warrantless searches can be conducted within miles of potential targets. The Interior Ministry will have police state powers. And it will be able to wield quite a few of them without having to go through the formality of asking judges nicely for permission. Some of these measures should be familiar. France is the new Israel. 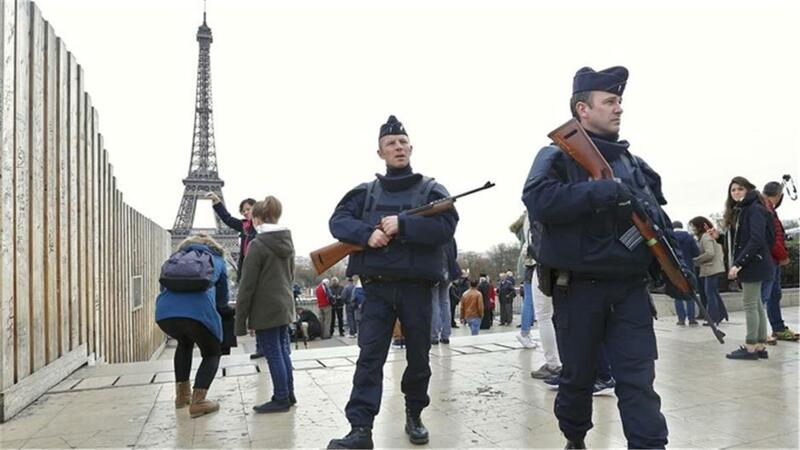 France's Interior Minister called the anti-terrorism bill, a "lasting response to a lasting threat". The choice of words recognizes that Islamic terrorism is here to stay. The “State of War” is permanent. And France has no plans for winning the war. Instead, it’s trying to get better at playing defence. And that’s what most Western domestic counterterrorism efforts amount to. France is just taking the lead because it has the biggest problem. The British put soldiers on the streets after the Manchester Arena bombing. The Italians and the Belgians began deploying soldiers in cities around the same time that the French did. When an illegal alien Muslim terrorist due to be deported murdered two young women in Marseille while shouting, “Allahu Akbar”, French soldiers opened fire. The 24-year-old who shot the terrorist was a reserve member of a regiment of combat engineers in the French Foreign Legion. The French Foreign Legion isn’t off fighting in a foreign desert somewhere. It’s fighting in France. French soldiers are told to loudly announce, “Stop or I Shoot”. And then open fire. And that’s what he did. And French soldiers are being forced to learn the phrase and expect to come under attack. In February, French soldiers were attacked by a Muslim terrorist outside the Louvre. The Egyptian Jihadist shouted, “Allahu Akbar” and came after them with a machete. One soldier from the 1st Régiment de Chasseurs Parachutistes was wounded. The attacker was shot down. The 1st Régiment de Chasseurs Parachutistes had been deployed to Afghanistan and Mali. Now they were at the Louvre. You don’t need to be Napoleon to know that counts as a major retreat. A month later, a Muslim terrorist shouted "I am here to die in the name of Allah" while holding a female air force soldier hostage at Orly Airport. He got his wish courtesy of her fellow soldiers. In August, six soldiers from the 35th Infantry Regiment were hit by a BMW driven by a Muslim terrorist. Members of a regiment which had been deployed in Afghanistan were sent to a military hospital after an attack in the wealthy Levallois-Perret suburb of Paris. A year earlier, soldiers from the 5th Infantry Regiment had been hit by a Tunisian shouting, “Allahu Akbar” while they were guarding a mosque. 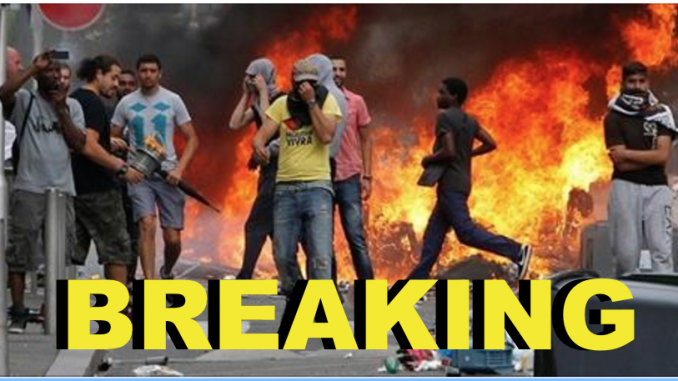 France has entered its longest state of emergency since the Algerian War. The 2015 attacks saw its first state of emergency since 1961. But where is France supposed to withdraw from this time? Paris? It was one thing to abandon the beleaguered Algerian Christians and Jews to Muslim terror. And to abandon them a second time when they fled to France only to face persecution by their old Islamic neighbours who had tagged along and settled down in Marseille. But can France abandon the French? The issue once again is colonialism. But the new colonists are Algerians, Tunisians and other Islamic imperialists who have settled in France and wave the black flag of the Jihad over their no-go zone settlements in French cities. And they have made it abundantly clear that they will not stop there. Last year, former Prime Minister Manuel Valls said that "Everyday attacks are foiled... as we speak." And it’s no wonder. Thousands of Muslim settlers left France to fight in Syria and Iraq. Valls was looking at 15,000 potential threats domestically. 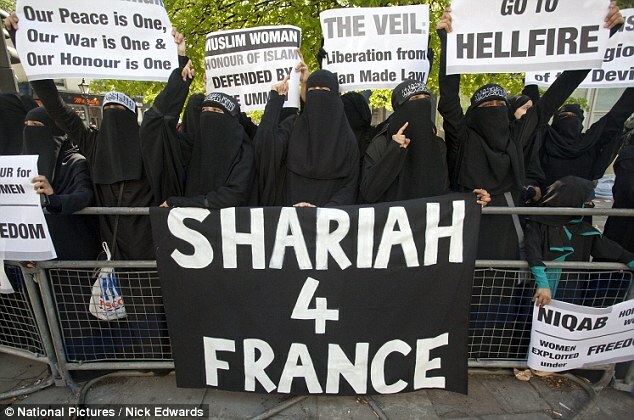 France has one of the largest Muslim populations in Europe. We don’t know exactly how many millions of Muslim settlers live in France. But we can measure their growth by the expansion of the terror threat. Islamic terrorism is, despite the spin, reducible to Islam. There is no Islamic terrorism without Islam. As Islam expands, so does Islamic terrorism. France is in the middle of a civil war. The civil war is based on religious differences. As the religious divide between the Islamic colonists and the militantly secular French government increases, the violence will worsen. The outcome of the war will determine whether France will be a secular republic or an Islamic state. The Jihadists have a plan for winning the war. The French authorities don’t. And what goes for France also goes for Western Europe. And for the West. The French combination of social appeasement and police state enforcement isn’t working. The same model ultimately fails wherever it’s applied. Breaking up terror cells and stopping attacks is far better than the alternative, but the scale of the problem will always continue increasing because of demographic growth and a globalized terror infrastructure. Demographics dictate that France’s terror problem will only keep growing. And the French authorities understand this. That’s why its governments increasingly talk about Islamic terrorism as a lasting threat. Our War on Terror has squandered endless blood and treasure while avoiding the root cause. Western nations deploy massive armies to root out small terror networks while allying with their Gulf backers. Soldiers patrol major cities waiting for a terrorist or several terrorists to attack. Meanwhile, the mosques that indoctrinate them to hate and kill non-Muslims are also protected by those same soldiers. That’s not how you win a war. It’s how you lose everything. Nothing is more uncool than the MSM, NFL, Hollywood. Alex Jones details the most uncool things in our country today: the National Football League, the mainstream media, and Hollywood.